Everything is definitely bigger in Texas! After the show, I had dinner in a hotel pub and grill called Texas Spice. They served rolls and cornbread with whipped butter and cinnamon butter as a starter! 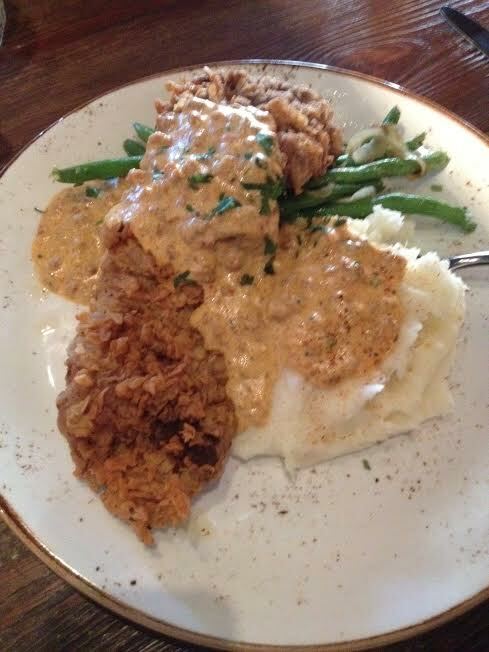 I ordered the chicken fried steak with mashed potatoes and green beans! After a long day, I was extremely hungry, and yep, I cleaned my plate. Just have a look…wouldn’t you have done the same?